How many of us struggle to truly accept the love and forgiveness of God? But it is through struggle that grace compels us to hold fast to hope in the cross of Christ and the power of God to reconcile all things. 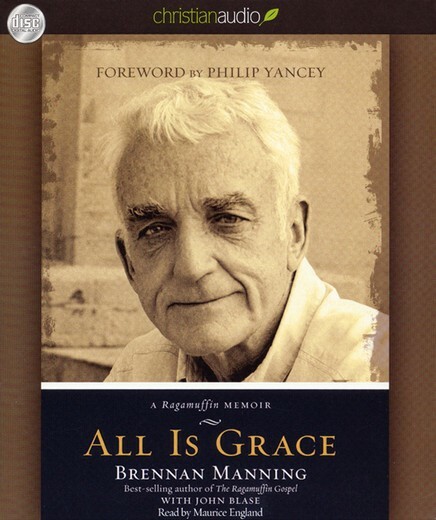 Brennan Manning has held many roles during his life--Franciscan priest, husband, recovering alcoholic, best-selling author, sinner, soldier and saint saved by grace. 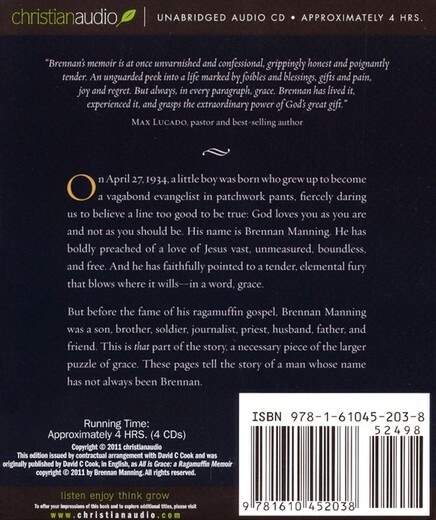 Born of his own struggles to embrace the love and grace of God, Manning is best known for The Ragamuffin Gospel. Brennan opens his heart to readers, sharing gritty details about his life behind the public eye in All Is Grace: A Ragamuffin Memoir. 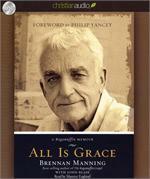 Moving and honest, All Is Grace trumpets the true magnitude of God's love-available to us in spite of our brokenness. 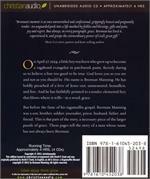 Includes foreword by Philip Yancy. Unabridged audio CD; approximately 4 hours; 4 CDs; read by Maurice England.